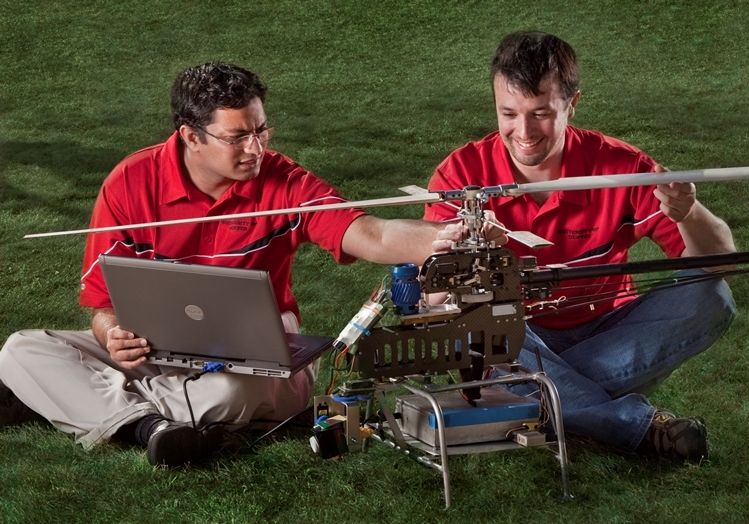 The Institute’s research and development activities promote knowledge and education in unmanned systems, contributing to: the advancement of higher education; benefiting students, researchers, scientists, engineers and practitioners; advancing the state-of-the-art in unmanned systems. R&D activities push forward the frontiers of unmanned systems leading to the next generation of fully autonomous unmanned ground vehicles (UGVs), unmanned aerial vehicles (UAVs) and unmanned underwater vehicles (UUVs). The Institute’s multidisciplinary and interdisciplinary research activities span across Engineering and Science disciplines requiring innovative concepts and ideas from robotics and automation, computational intelligence, soft computing, generalized system theory, integrated control and diagnostics, distributed intelligence multi agent systems, theoretical computer science, and physics.